Hello Web App: Learn How to Build a Web App. Learn how to code your first web app and get on the path to building your next side project, your lifestyle business, or your startup. 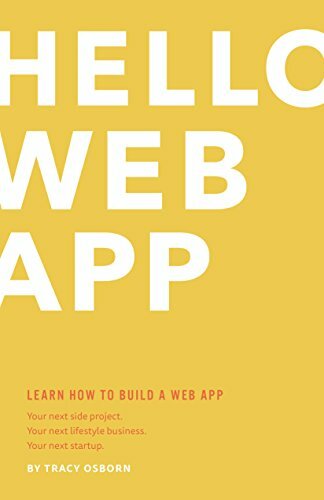 Written by a designer and aimed at non-programmers, Hello Web App teaches the basics of web app programming using Python and Django. The tutorial uses down-to-earth, friendly, and jargon-free writing to walk you through choosing a project, setting up a database, creating your website, building features, and launching your app so you can start working with real customers and users. Simply the easiest way to get started building your own dynamic websites.